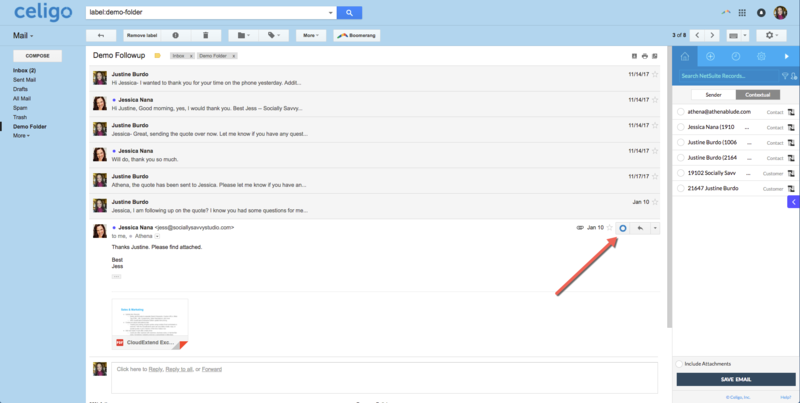 Using the Celigo Save to NetSuite button to save emails with CloudExtend Gmail. Step 1: Every email will have the Celigo Save to NetSuite button as shown below. Step 2: You do not have to save every email individually. If you go to the last email in the thread and click the Celigo Save to NetSuite button, CloudExtend will save that email plus everything before it (Once you decide where you want to store it. Explained in Step 3). 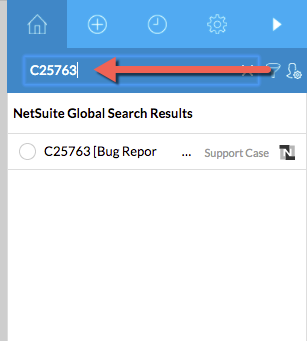 Step 3: Once you click on the Celigo Save to NetSuite button, CloudExtend does an auto search for you in NetSuite to bring back relevant records that you may want to attach your emails too. We search by Sender (1) which will show all the relevant records associated with the Senders name and email address and we do a contextual (2) search which will show all the relevant records associated with the Recipients names and email addresses. We also search for 5 or more digits in the email subject line. 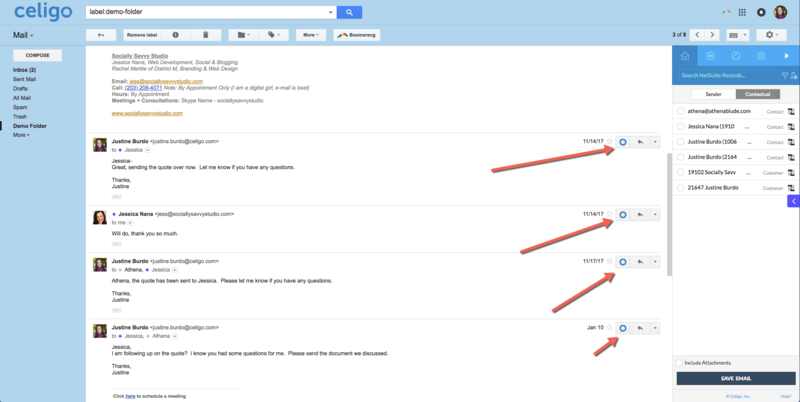 Step 4: Check off the records you want to attach the email too and hit SAVE EMAIL. Step 5: Did not find the records you were looking for via the automatic search? Use the Search NetSuite Records bar to search additional record types that CloudExtend may not find automatically for you. This mimics the NetSuite global search, so just type as if you were looking in NetSuite and the same records will populate. Below I was looking for a Support case. Click the radio button and SAVE EMAIL to save it. 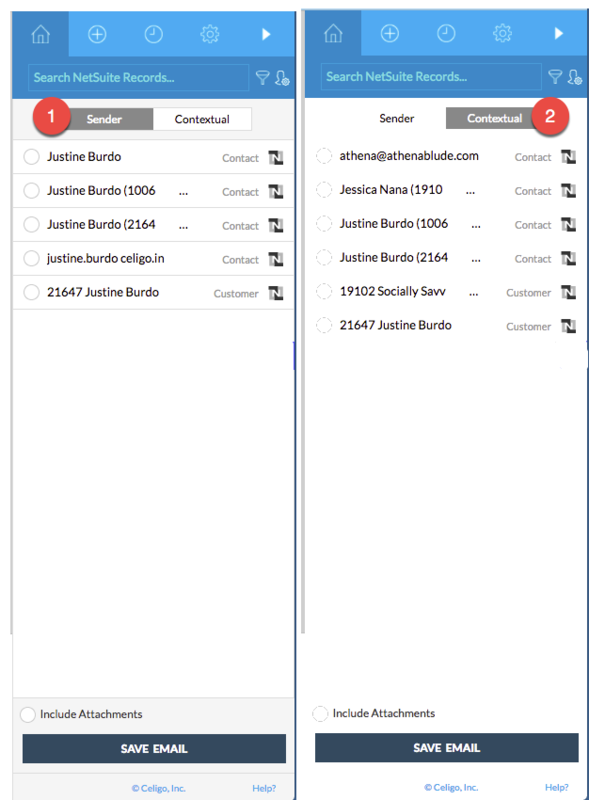 Step 6: Your emails are now stored to the communication tab + the Gmail tab on those NetSuite records. 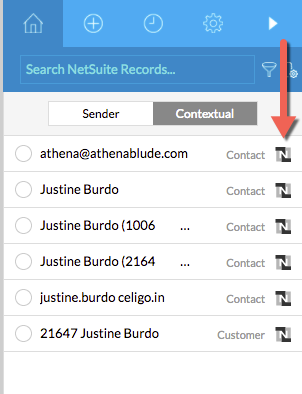 TIP: To quickly jump to those records in NetSuite click on the little NetSuite button next to the record.